3/4” (19.1mm) cell size aluminium honeycomb. Available in 10, 15, 20, 25, 28 and 30mm thicknesses. Our ¾” cell size is the largest we offer to purchase online (1” is available via our custom request form/sales team). 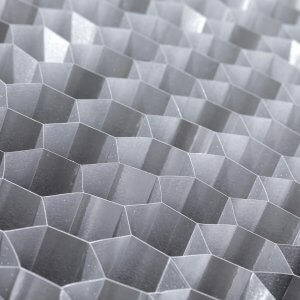 As it has a low density of 1.8lb/ft3 it is also the lightest weight honeycomb we offer online. 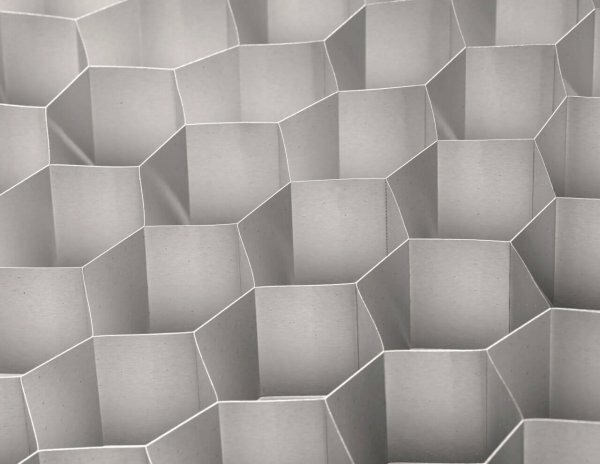 This makes it the most versatile honeycomb as it can be used to offer additional strength in a world of applications with minimal increase in weight. 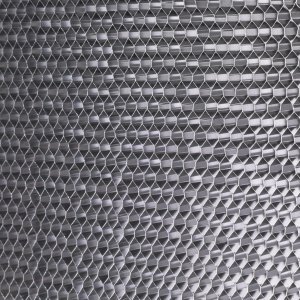 It is often used for architectural applications such as building facades and cleanrooms. We offer a variety of thicknesses and all slices expand to 1250 x 2500mm. L and W dimensions may be marginally larger. L and W dimensions never be smaller than stated. All our slices have been cut with a thickness tolerance of +/- 0.25mm.